When he heard a distant meowing, he couldn’t get it out of his mind. A man named Will was just minding his own business when a familiar sound echoed down the street. It was far away, but the sound of a crying kitten was unrecognizable. 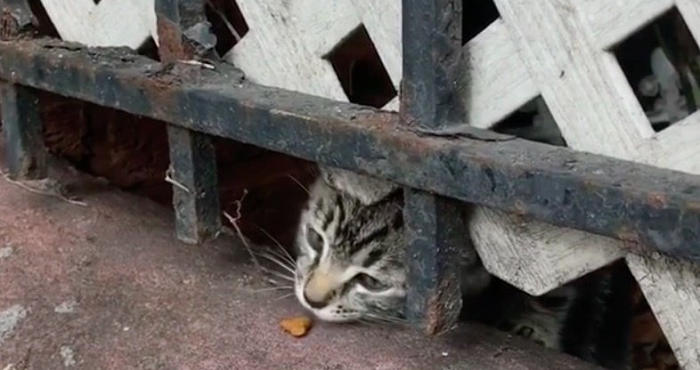 When he got close, he found that over a block away, a small kitten was frightened and huddled behind a trash can. He took the kitten home, warmed it up, named it Sonny, and gave it food…but the crying never stopped. No matter what they tried, the kitten was trying to tell them something. On a whim, Will went back to the place that he’d first found the kitten…and found another! An almost identical tabby was hiding nearby! He coaxed the kitten out of hiding, but it was terrified of humans. Only when the two kittens were reunited did they begin to warm up to their new home! 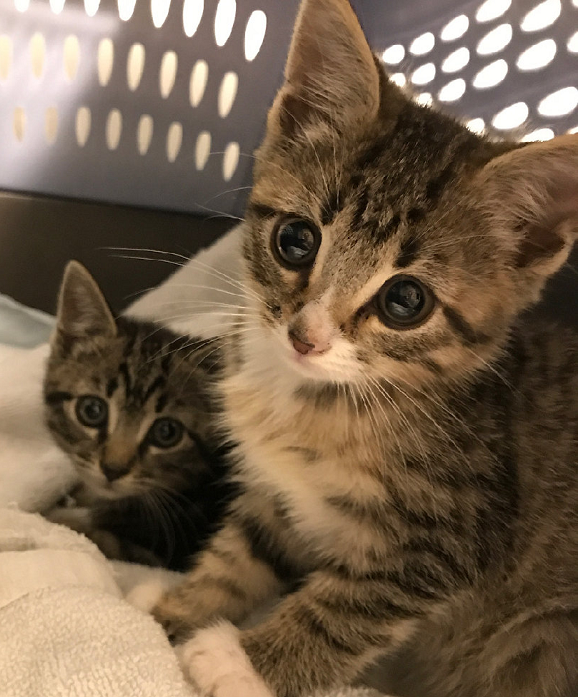 The vet discovered that the kittens needed treatment for intestinal parasites…but that the kittens would be healthy and happy in no time at all! They were given a warm bed to sleep in and all the cuddles and ear scratches that they could ever want! Hopefully, they will grow big and strong and find a forever home soon!